Skye Gravestones | Kate (Macrae) & A;lex. Finlayson, s. Donald. 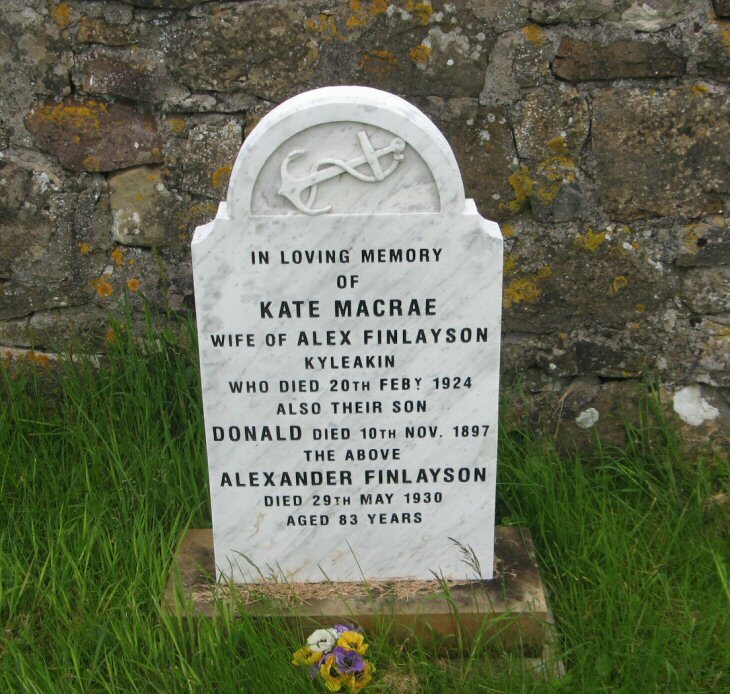 In loving memory/of/KATE MACRAE/wife of ALEX FINLAYSON/Kyleakin/who died 20th Feby 1924/also their son/DONALD died 10th Nov. 1897/the above/ALEX FINLAYSON/died 29th May 1930/aged 83 years.